VESSEL GALLERY DEPARTS 471 25TH STREET. Vessel Gallery is saddened to announce that after 8.5 years at 471 25th St., we must relocate our art gallery business. The landlord has decided to take a different direction with his property and as a result we have lost our lease. While this comes as a shock, we are taking the opportunity to reflect on our beginnings here, when we began with our May 2010 opening exhibit A Place In-Between - a solo show for Cyrus Tilton. It seems fitting, then that we end our time at 471 25th with two concurrent solo shows, Elsewhere, sculptures by Cyrus Tilton, and Together and Apart, new paintings by Sanjay Vora. Vessel began with a vision to show diverse contemporary artists, to build awareness of what the cultural arts experience could be in Oakland, and to connect artists with a diverse audience comprised of the public, the art industry, and collectors. We continued our mission of exposing the well-spring of exceptional creative arts and production of our region. November 17 is our last day of Elsewhere and Together and Apart, and while our creative contributions to the Oakland art scene on this block conclude, rest assured we will continue with the same verve of creative support and engagement. You may see us curate and produce exhibitions or pop ups, or participate in exhibitions, we’ll invite you to join us! It has been an honor to serve our community and help build the art scene in Oakland. We have enjoyed showcasing our artists, and our friendships with clients, artists, students, enthusiasts, collectors, and institutions are what we treasure most. A very special thanks is extended to supporters who’ve helped put Oakland on the art map! online gallery will continue to offer distinctive, one-of-a-kind contemporary artworks for collection. If you are looking for specific artwork(s) by one of our artists, please call or email us. We are happy to assist you. We ship artworks domestically and internationally, and deliver in the Bay Area. Please contact us with any opportunities, ideas, or proposals; we’d love to hear from you! We look forward to your visit at our nearby office, and to staying in touch as Vessel evolves. Vessel envisioned a gallery space in one of Oakland’s very few standing turn-of-the-century horse stables. The gallery was remodeled into an arts complex that combines unparalleled charm, character, and modern rustic architectural experimentation. 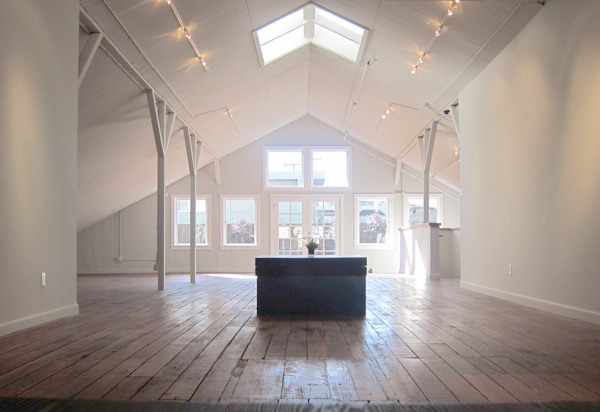 A two-story space, included a hayloft gallery, an urban rooftop garden, and a street level gallery space. 25th Street Garage District of Oakland. Wm. N. Macauley’s draughtsman and designers occupied the space for manufacturing motor bearings and radio parts for cars. At this same time through 1939, the building shared space with Linden Bros. who housed a furniture repair and manufacturing business. William and Dorothy Traverso owned and operated the building as United Glass from 1943 to 2008. After. Lonnie Lee envisioned a new use for this building, her second iteration of Vessel. She worked to create the 25th Street corridor as a revitalized community which enlivened and invigorated Oakland's former Auto Row garage district. 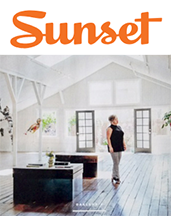 Newly remodeled in 2010, Vessel Gallery established its art gallery exhibitions in what is now known as Uptown, Oakland’s arts and entertainment district. Many of the original details like the tongue and groove wood ceiling and floors remained. Lee transformed the use of this historic turn-of-the-century building into a unique gallery space to enjoy art, music, and the community.